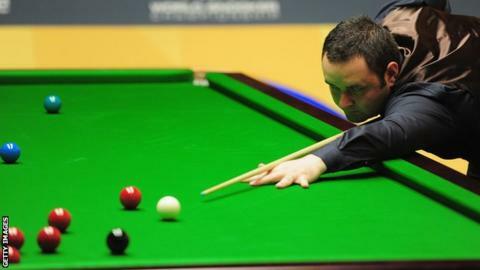 Scotland's Stephen Maguire believes the UK Championship has "lost its appeal" because of format changes. In recent years matches went from best of 17 to best of 11 and this year that also applies to the semi-final stage. "It is a different tournament and it's not as good as the way it was," said Maguire after his 6-2 first round win over Lu Ning. "It used to be best of 17 and it was a better tournament to be honest, but we don't get a say in it." Maguire won the tournament in 2004 but he says its prestige has now slipped. When asked if he looks forward to the UK Championship, the 33-year-old said: "Not as much as I used to, it's probably fourth on the list of the top tournaments we've got on the tour. It's close to Christmas and that's what I'm looking forward to. "I've won it before but even for the boys who haven't won it, it's definitely lost its appeal, it used to be second to the worlds but it's definitely not there any more. "The Masters, the International and the Worlds [are above it now]."